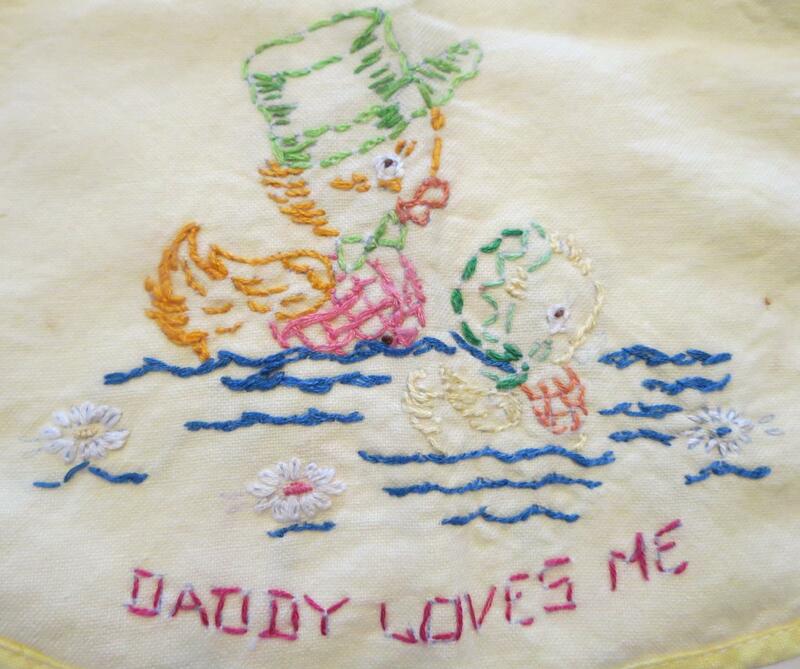 This entry was posted in Uncategorized and tagged Family, Other needlework by susanstewartdesigns. Bookmark the permalink. 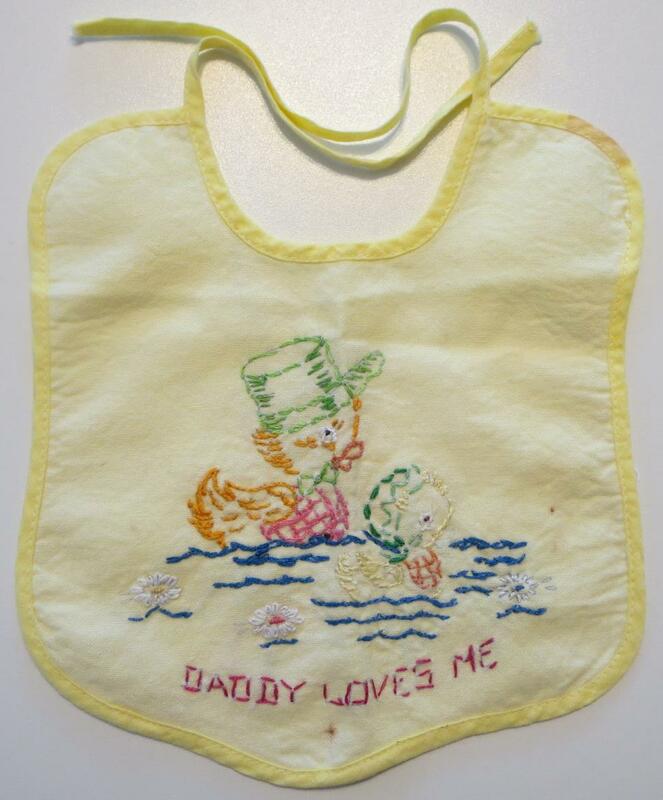 So wonderful you have the bib! Thanks for sharing! What a sweet embroidery piece. I’m glad that you have it and that you chose to share it. 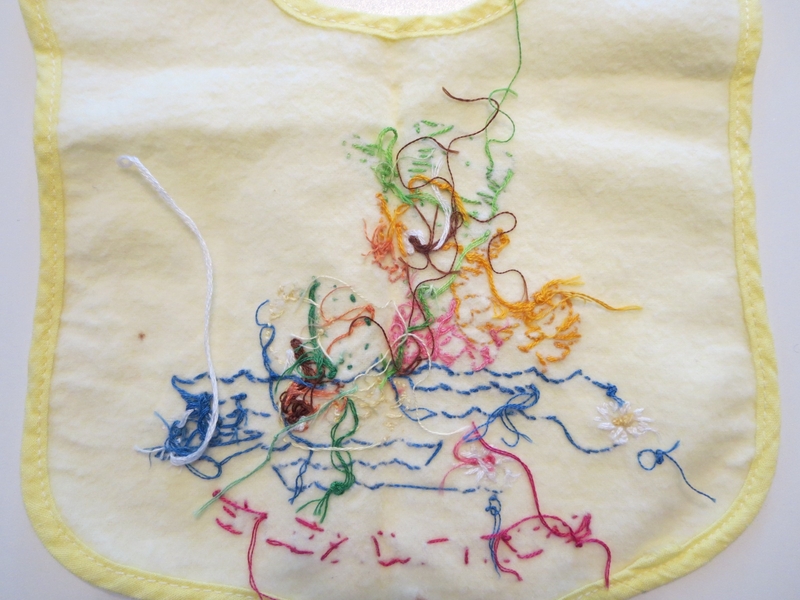 I don’t know what happened to my earliest sewing/embroidery pieces, but I have several of my daughter’s early thread works.